The first month of the NBA season is over and we’re starting to get a good look at what each team actually has to offer. We’re also getting a look at the best individual players. The MVP award is one of the most coveted by the basketball stars. One month in, who is in the MVP question? The Rockets are 12-3. Dwight Howard hasn’t played since a November 17th loss at Memphis. So what has been the answer for Houston? James Harden. A few years removed from his sixth-man days in Oklahoma City, he is putting up 25.3 ppg, 7.2 apg, and 6.1 rpg and is looking like a legitimate MVP candidate. Since Howard was knocked out, The Beard has stepped up in his increased usage and scored 28.5 ppg. He has put himself into the question, but won’t climb any higher unless he learns how to play better defense. The Kings are… good? 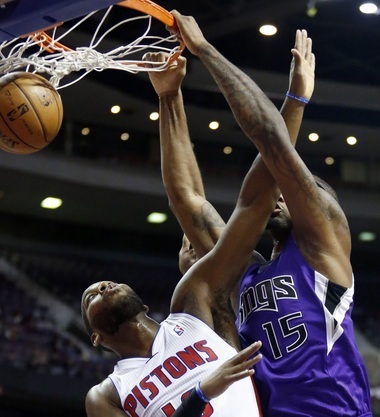 I’m still not entirely convinced of that, but I am entirely convinced of the game of DeMarcus Cousins. The addition of Darren Collison and Rudy Gay have helped to space the floor for Sacramento, and Boogie has come sprinting out of the gate with 23.5 ppg, 12.6 rpg, 1.5 bpg, and 2.1 apg. The big guy is doing all of the little things right. He scores at will and clears the floor for his teammates to do the same all while playing some spectacular defense. He is making a statement and trying to show the league that he’s the best center in the league. Right now, he’s right. And he’s only getting better. If the Kings can get more consistent and stop blowing games, he very well may climb up this list. This guy seems well-suited to new head coach Steve Kerr’s fast-paced style of play, don’t you think? Curry is fifth in scoring at 24.2 ppg, and has also posted 7.7 apg, 5.5 rpg, and 2.1 spg. Gone should be any notions that he is not a true point guard. To this point in the 2014 season, Steph has shown great control of this new offensive attack and he is sixth in assists. He has Golden State off to a great 12-2 start, better than any Warriors team since before he was even born. The Brow finds himself second on my list simply because his team is 7-6, which is good for last place in a tough division that it shares with the Grizzlies, Rockets, Spurs, and Mavs. What can I say about this guy? Through 13 games, he is second in scoring at 25.4 ppg, tops in bpg at 3.4, and is also averaging 11.2 rbg and 2.1 spg. He is shooting 56.5% from the field and leads the league in player efficiency rating. The closest person in that category is five points behind Davis. He is an extremely versatile big man that doesn’t try to do too much even though he absolutely could. Unfortunately for him, if he wants to take home MVP honors at season’s end, his teammates are going to have to step up their play around him. Regardless of how dominant a player is and how much he stuffs the stat sheet, if his team doesn’t win enough, he’ll have a hard time winning the award. If the Pelicans make the playoffs, he will win the MVP. 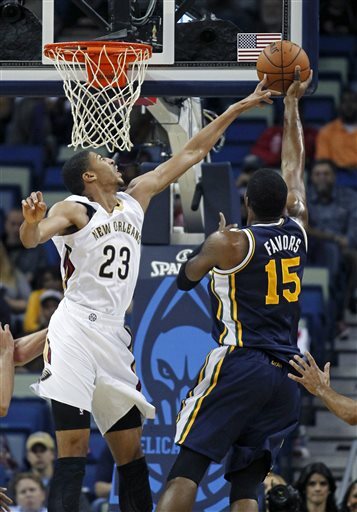 If the Pelicans make sixth seed or higher, he will definitely win. You think he’s playing for something? Gasol has played some inspired basketball in this contract year and his Grizzlies find themselves atop the Western Conference at 13-2. It’s the team’s best start in franchise history. 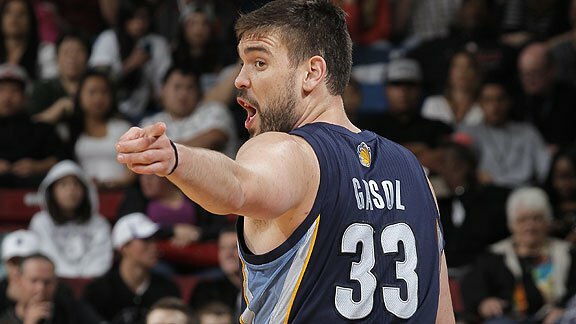 Gasol is sporting 19.8 ppg, 8.1 rpg, 3.1 apg, 1.6 bpg, and 1.3 spg. While his stats on paper don’t necessarily jump off the page as MVP-caliber, it becomes more and more clear with each game how critical he is to the success of this Memphis team as anchor of the one of the league’s top defenses. Think he’ll get paid next year? I know what you’re thinking: HOW DARE I make an MVP list without LeBron James on it! Relax. As far as I’m concerned, he slides in at number six. Also as far as I’m concerned, the Cavs still have a bit of a ways to go before LeBron climbs himself back into the top five. He’ll be here at season’s end, but with Cleveland’s current level of play, he’s on the outside looking in. This entry was posted in General, NBA and tagged Anthony Davis, basketball, Demarcus Cousins, James Harden, Marc Gasol, NBA, NBA MVP, Stephen Curry. Bookmark the permalink.